Here are several stats you may not know from the Packers 37-28 loss to the Carolina Panthers (the stats all reflect regular season games unless otherwise noted). Having a 7-3 lead after the end of the first quarter should have been a good omen for the Packers, Until yesterday, they had won eight of their last nine games on the road when they led after the first quarter. Yesterday was the first game since 2004 that Green Bay allowed 24 or more points in the second quarter. They have allowed 24 or more points in the second quarter nine times in the team’s history… they lost all nine. The Pack was behind 27-7 at halftime. This was the 21st game in the Super Bowl era (since 1966) that the team has allowed the opponents to have 27 or more points at halftime. As you might expect, the Pack is 0-21 in those games. This was the 29th time since 1966 that the Packers were behind by 20 points or more at halftime. They are 2-27 in those games. The offensive line allowed five sacks in the contest. The Packers have lost nine of their last 11 in games when they allow five or more sacks in a game. The last time the Packers lost consecutive games was Weeks # 9 and #10 in 2013. The last time they lost three straight games was when they lost in Week #11 that season. Green Bay was behind 30-14 going into the fourth quarter. Since 1966, the Packers are 0-67 when they trail by 16 or more points going into the last quarter. The Packers “D” did not have a sack in the game. Since 2000, they are 13-19 when the “D” does not have a sack. They have lost eight of their last 12 when they fail to get a sack. The Packers only rushed for 71 yards yesterday. Since 2000, the Packers are 19-36 in games where they gained less than 75 yards rushing in the contest. In the Packers six wins, James Jones had 21 catches for 424 yards and six TDs. In the two losses, Jones has three receptions for 59 yards and no TDs. The Packers road woes outside their division continue. Since 2006, the Packers are 42-33 in games on the road. They are 19-9 in road games within their division (versus Chicago, Detroit and Minnesota) and 23-25 on the road in games outside the division. The Packers scored 15 points in the fourth quarter. Since 2000 they are 12-5-1 in games where they score 15 or more points in the fourth quarter. Aaron Rodgers had four TD passes for the 16th time in his career. The Pack is now 14-2 in those games. Brett Favre had 19 games where he tossed four or more TD passes in a game; the Packers were 16-3 in those games. Since 1960, the Packers are 42-5 in games when one of their QBs passes for four or more TDs. Green Bay attempted only 19 run plays. Since 2000, the team is 6-36 in games where they run fewer than 20 running plays. Kicker Mason Crosby did not attempt a field goal in the game. The Packers are 8-9 in games when Crosby does not attempt a field goal. The Pack scored 29 points in the game. 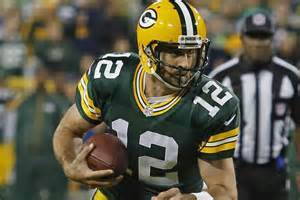 Prior to last night’s game the Packers had won 11 straight when they scored 28 or more points. They are 38-5 since 2000 when they tally 28 or more points in a game.